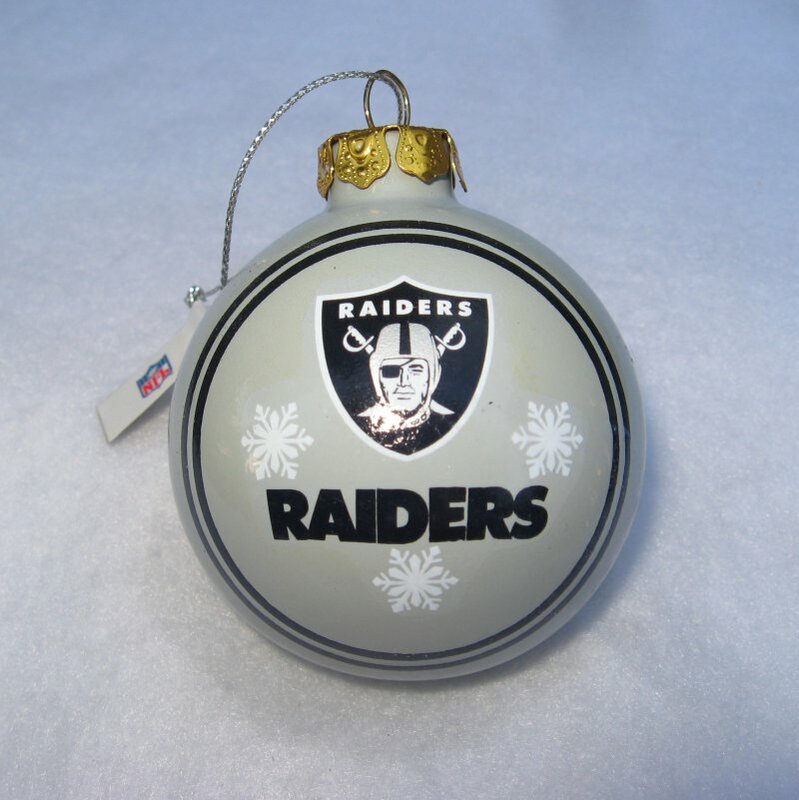 Oakland California, Raiders Football, Raiders Nation, National Football League, NFL Approved, Christmas Ornament Tree Ball. This Oakland Raiders Christmas tree ornament measures just about the same size of a tennis ball. It is no longer in its original box, but does still have its tag. This is an NFL sanctioned item. CONDITION: The ball is in great 'as new" condition, but I just noticed a defect in the paint. On the back side, which looks exactly like the front side in my photo, there are 2 black rings around the logo. On the inner ring, to the right of the shield logo is where the defect is is. I will try to get a new photo posted as soon as possible. Buyer to pay USPS First Class Mail delivery charge of $4.00.